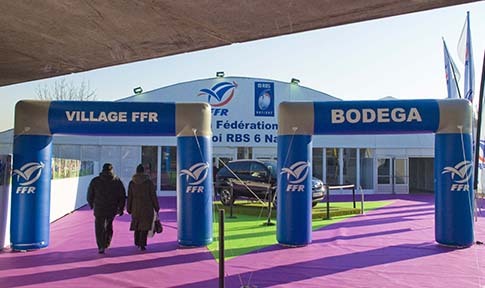 GL events, a leading international player in the events sector, designs and produces original, dynamic signage in every format. We have over 30 years’ experience in the field and master every stage of the production chain. From graphic design to manufacturing and installation, we provide a comprehensive range of services to guarantee greater responsiveness. Signage & Branding serve to inform, orient, decorate or create a setting; as such, it is an essential component of your event. Opt for events delivered with their very own instruction manual. The success of your event depends on your ability to explain, inform and incite. 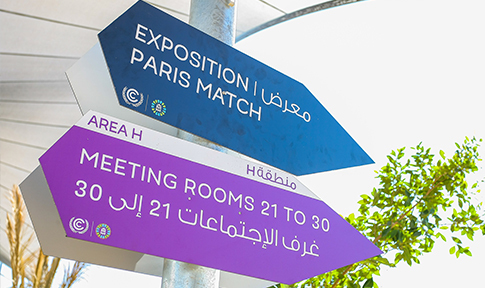 Our precise and coherent information signage meets all these requirements: overhead signs marking different areas, services, access points and stands; graphic maps of fairs; production of conference programmes, product sheets and so on.